There are more than 200 governor and trustee roles across Bristol, which are proving difficult for schools to fill. Bristol Learning City wants to help change this for the city and add to the good work being done on school boards today, by encouraging those in the business community with the commitment and right skills to sign up. 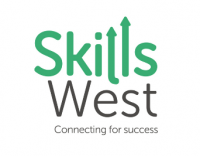 Schools will particularly benefit from skills that employees and the business community can bring, from project management to legal and HR experience – and of course the people skills that create successful business. Businesses will also benefit from the skills and learning that board members can bring back to the workplace. These include increased confidence and decision-making abilities, alongside communication, leadership and management skills. Businesses also demonstrate good Corporate Social Responsibility by encouraging employees to be involved. We’ve produced an introduction to governorship, explaining what skills schools and academies are looking for and what to expect of the role. In essence, to be a school governor or academy trustee you don’t need a degree – just the right attitude, skills, plus some time to take on the commitment. 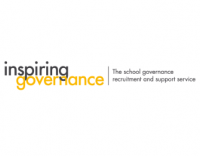 Working with the Department for Education funded Inspiring Governance we’ve put in place a new, online process that matches potential governors to Bristol schools. If you feel you have the right skills and commitment to become a governor or trustee, please continue to the apply-online portal.